A decent yoga practice is one of the most effective things anyone can do to sustain themselves, and when it comes to sustainability for the planet, yoga holiday companies are leading the way inside the wellbeing holiday industry. 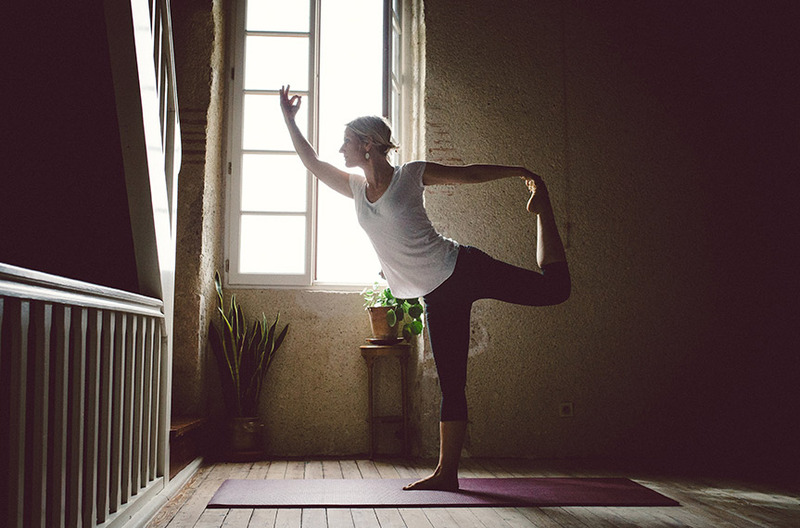 Yoga is accessible to anyone who wants to try it, from the stiff-bodied and injured to the flexible and strong, from children and students to their grandmas and grandpas, from mums and dads to professionals. Don’t be overwhelmed by the increasing range of yoga ‘styles’ out there – in essence, the yoga that most people in the West practice in one form or another is Raja, the yoga of physical and mental control. Here’s our pick of some of the best yoga holidays out there that are also making efforts to take care of the planet as well as you. This glorious back-to-nature retreat overlooking Loch Awe and set amidst forests, streams and waterfalls is run by owners who are genuinely committed to green living. 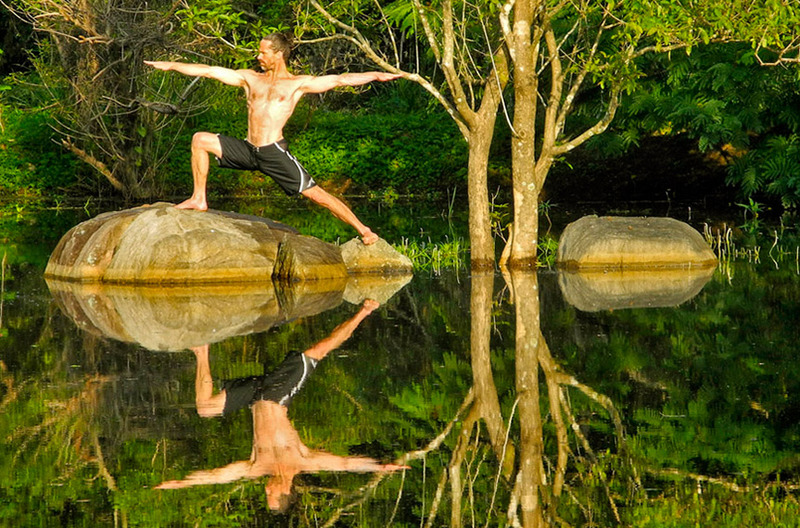 Come for Ashtanga-based yoga breaks with delicious vegan meals as well as an outdoor bath by a wild river, an underground sauna and a solar powered hot tub. It’s completely off grid and heated by hydro electricity which is made onsite, and the water is heated by solar thermal systems. All food waste is composted (or fed to the chickens), and as much other waste as possible is recycled. Eco-friendly shower gels are made by Faith in Nature, and they sell bamboo toothbrushes. Read more. This delightful 60 acre private island is a working organic olive farm where they pick and produce their own table olives and olive oil. Come for week-long holidays with hand-picked teachers, stay in white-washed houses and enjoy delicious Mediterranean veggie meals using locally-sourced food. It’s off grid, they use solar power for heating and light, collect and filter rainwater, and use grey water for the garden. Cotton slippers are made with coconut fibre cut-offs, and reusable water bottles are provided. All waste is recycled, wet waste composted, and 100% natural and biodegradable bathroom products and insect repellent are made by a local mum and daughter team. Read more. Classical hatha teacher Tamsin Chubb offers yoga holidays at her rural home in Gascony and in India. Come to cleanse, learn about Ayurveda, have treatments, do twice-daily yoga classes and enjoy walking, wild swimming, markets and cultural sights. Tamsin treats her staff like cherished family members, buys her organic produce locally and uses her own garden fruits in cooking. She collaborates with Mossy Earth, so guests can give a tree to re-wild areas that have suffered de-forestation. In India, Tamsin gives back 10% of her profits to support a school for orphaned children, and provides one local school teacher with yoga teacher training each year. Read more. An organic farm and eco-village circled by the Galgiriyawa mountains where monks still live in remote temples and caves, Ulpotha offers yoga holidays with a changing rosta of international teachers, ayurveda treatments and a silky-smooth natural lake to swim in. It runs a free Ayurvedic clinic for the local community, and the whole estate is run by a committee of six villagers, who make all the decisions about finances, staffing and supplies too. No plastic is used here, and the owners are passionate about water conservation and traditional farming methods. Seeds from the main staple – organic red rice – are offered freely to any local farmers who are willing to grow it organically. Read more. 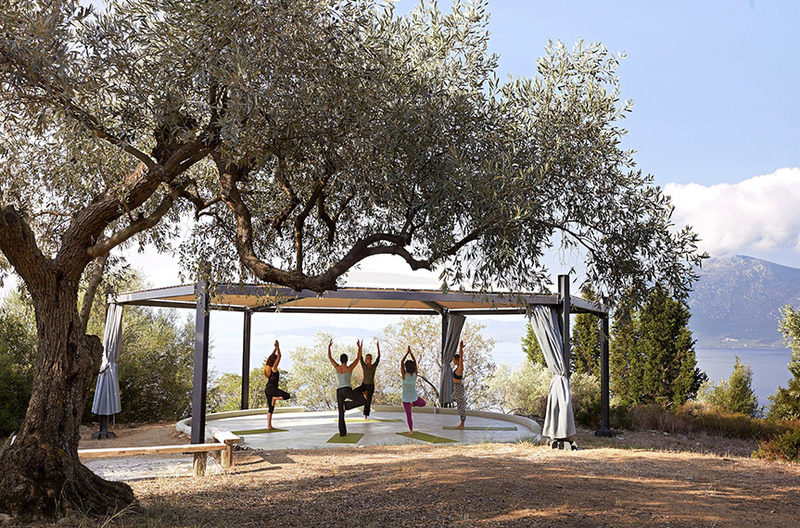 Set up by inspirational London-based yoga teacher Francesca Quaradeghini, these brilliant yoga retreats run all over the world and include family-friendly offerings. 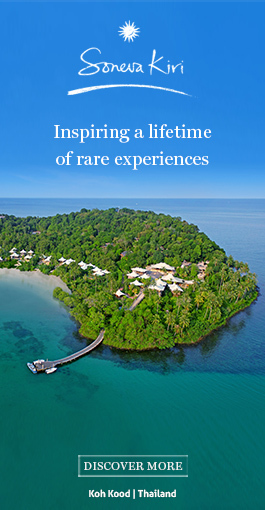 Choose a chateau in France, private houses in Italy and Barbados, Alladale in Scotland or Knowlton Estate in the UK – or go to the beautiful Ashok Tree Retreat Centre in Tamil Nadu, Yogoloji’s ‘give back’ retreat in India. Here its charity, The Ashok Tree Foundation, is run exclusively by volunteers and puts yogic principles into action. There’s a free primary school on site, free Ayurvedic consultations and treatments with an Ayurvedic doctor for villagers and free wellness clinics for local women, while Ayurvedic herbs and organic food are grown onsite for children and retreat guests and regularly distributed to the elderly. Retreat guests can choose to get involved as much or as little as they choose. Check out the charity here and the company here. 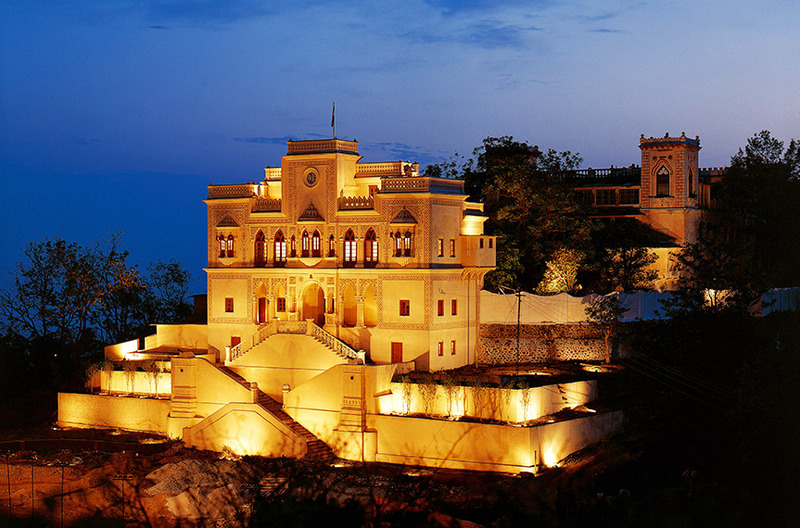 A cosseting destination spa near Rishikesh, Ananda offers different kinds of yoga classes and retreats including a Self Realisation programme with personalised one-on-one hatha yoga sessions and daily meditation. The spa supports organic local farmers and sources 90% of its ingredients locally. It uses reusable glass water bottles with a water bottling plant on site, recycles water for its gardening, recycles its rubbish and sends its food waste to a local pig farm. Ananda also collects a voluntary monetary contribution from each guest and pools an equivalent amount towards vocational training of underprivileged girls, also helping to employ them. It has adopted local schools for underprivileged children, and helps to maintain these schools. Read more. Looking for more yoga holiday ideas? For full, in-depth reviews of yoga holidays and more ideas including sustainability credentials check out Queen of Retreats, Caroline’s curated collection of retreats that have all been reviewed and rated by either herself or other trusted writers and wellbeing buffs.